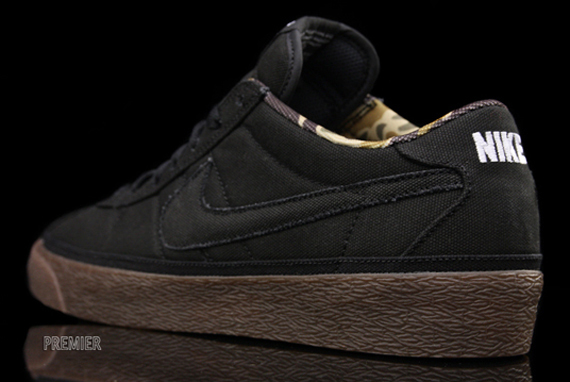 Part of a series of November releases, Nike SB introduces a new version of the Zoom Bruin model. 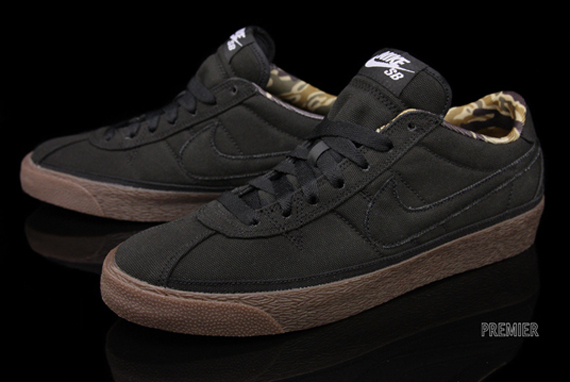 A relatively simple shoe from the outside, a closer look shows that this Nike SB Zoom Bruin incorporates a standout camouflage liner. The all black canvas upper, gum sole, and Zoom Air cushioning provide the makings of an every day, go-to sneaker. 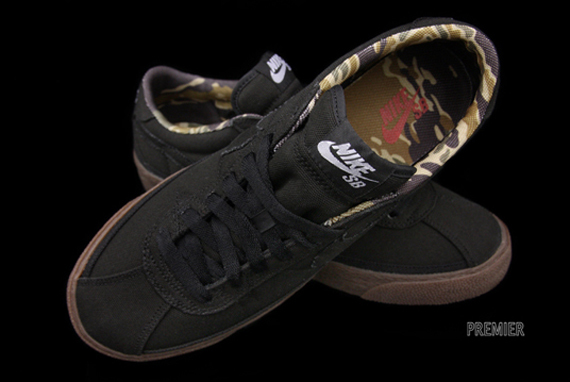 The black/camo Nike SB Zoom Bruin is available this season at Nike SB retailers.